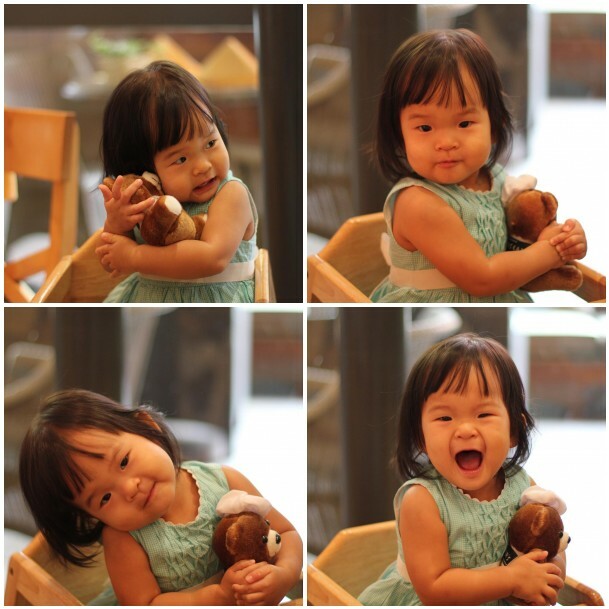 A Dollop Of Me | family, food, healthy living, life's tidbits: Happy 1st Birthday my baby! Happy 1st Birthday my baby! The entire family took leave to celebrate. Happy Birthday my dearest baby. Thank you for all the joy you have brought into our lives. I was filled with emotions today, overwhelmed by the occasion and recalling the past year. My little baby has grown to become the loveable little girl she now is. I look forward to be alongside her every phase of life that she will go through. To support her through difficult times, and celebrate her achievements. To be her guide, her confidante, her friend, her mother. May God grant me the ability to be all of these, even as He has blessed me so richly with a daughter like Bubbles. Thank You. 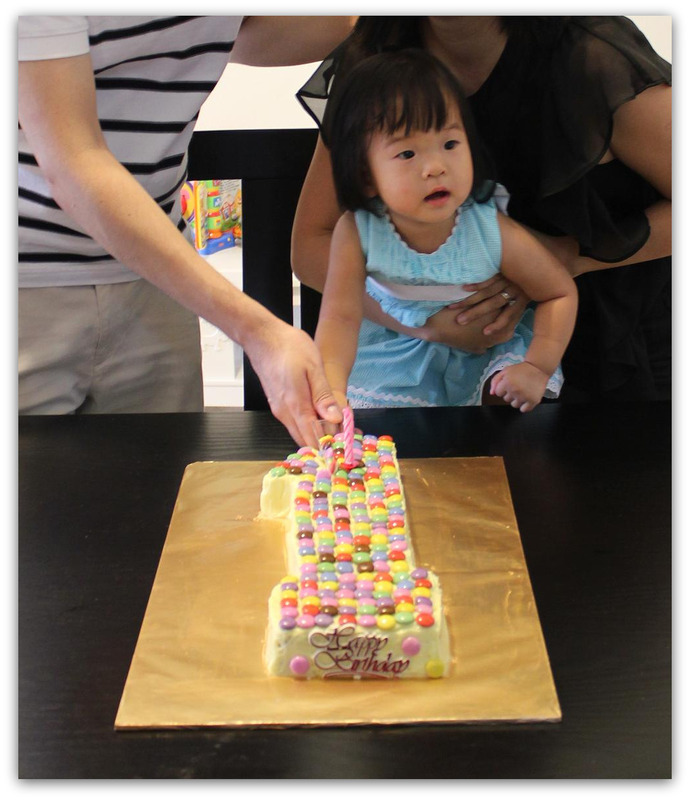 Read all about her 1st Birthday here. What a milestone! Happy birthday Bubbles. May God grant your heart's desire. Happy birthday, Bubbles! You are very lucky to have a wonderful mum! Continue to grow up happily and healthily. You've grown so much! Happy Birthday Bubbles! Happy Birthday, Bubbles! You're very much loved and may you grow up to be always happy and healthy! Happy Birthday, Bubbles! And to the wonderful mum, Bubbles is blessed to have you. Whoa.. time flies indeed! Bubbles turned one now. Happy happy birthday Bubbles! Btw, the cake is impressing me, it was very nice garnished! I noticed that Bubbles wore a uber sweet and pretty dress for her birthday party. Can I know where did you get that little blue dress? Oh, and that little yellow dress with a flower looks gorgeous too (the one taken with her pressies). Where can I find that? My third child, Lauren, is also a Sept baby but she has way less hair than Bubbles, so I am hoping to get more dresses for her (It can be annoying when often times people in the lift kept asking, "Boy ah? ", even when Lauren is wearing a pink top). And btw, you have a great blog. Keep writing! Thanks for popping by. It is people like you that keep my going in blogosphere. I totally relate about people asking "Boy, ah?" as Bubbles used to get that a lot during her spikey hair days. And yes, despite pink clothes and frills! I actually bought that blue dress when I was still pregnant! Got it from Petite Wardrobe - a shop that sells overstock of kids' designer clothes. They have 2 outlets, one at UE Square and one at Jelita. It is from the brand "The Children's Place" - love their clothes! You can see link on my "Shopping for Kids" sidebar. The Yellow dress was bought recently at Gingersnaps. They have shops at Raffles City Shopping Centre and United Square. I'm a fan of their clothes too!